There is always time for indulgence and pampering at SKYCITY. With an array of delicious cuisine from our restaurants and bars, including award winning recipes by acclaimed New Zealand chef Peter Gordon, you can also enjoy the luxuries of our 4 and 5 star hotels, with an array of entertainment right on your doorstep - there is something for everyone! Paula graduated from NSIA with a Diploma in International Cookery and Patisserie Level 5 in April 2016. 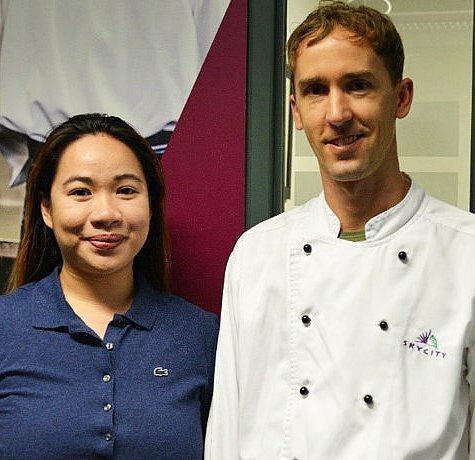 Paula gained a role as a Pastry Commis Chef at Sky City in December 2015. 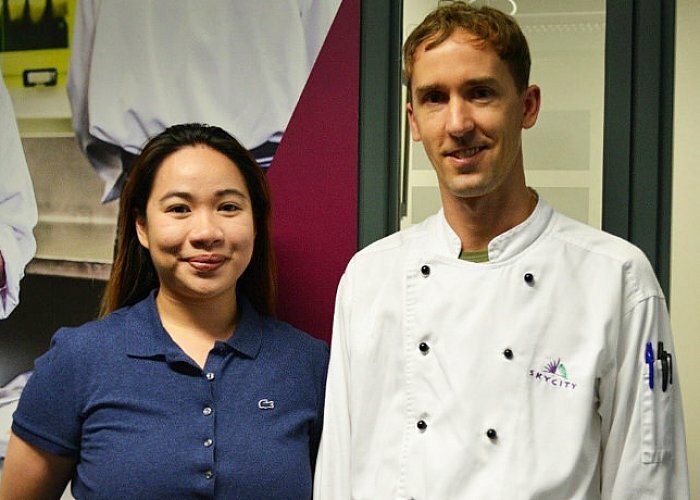 Paula Alviola also competed in the prestigious Nestle Toque d’Or competition at the NZ Chefs National Salon in 2015. Paula was part of a two person kitchen team where they won a Silver Medal. I am very pleased to say that Paula has made great progress in her role at SkyCity since she began in December. She shows huge interest in this field, is eager to develop her pastry skills and deals with challenges positively. Some of the skills she has gained since starting her role include cake garnishing, glazing which is a difficult skill to master, and asking for feedback when she is unsure. She has shown initiative during the recent busy Christmas period and has taken on working independently and organizing the buffet by herself. I feel her training at NSIA has provided her with a good background and basic knowledge of cooking, she is also a very organized and clean worker. She gets along with everyone and has slotted into our team nicely, we are very happy to have her on board. Since starting my role at Sky City, I have gained so many new skills; I have improved my cake making, knife skills and have also learnt about working with speed and efficiency. My senior chefs, Chef Lisa and Chef Christian, are very helpful and supportive, if I am unsure and I can ask for their help with anything. I have also learned a lot from my fellow Commis chef, Romesh who works with me in the kitchen. My responsibilities within my role include cake preparation and decorating, dessert plating and garnishing, baking muffins, and assisting my senior chefs. I also work alone in my section during the night shifts to prepare the desserts for the next day. My goal for the future is to learn as much as I can about the different sections of pastry and production so that I can work my way towards becoming an executive pastry chef in the future.